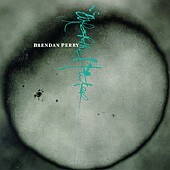 Brendan Perry is the last of his former Dead Can Dance companions to put out a solo project. Lisa Gerard and Peter Ulrich have already continued on their own paths. Overall, Eye of the Hunter sounds very different from anything that maybe considered an extension of what Brendan was with Dead can Dance. All of the tracks are extremely slow and contain acoustic guitar that adds to an already building "folk" atmosphere. Most of the lyrical content is dark, mourning, and daunting. Brendan's voice, no matter what the context, is still thick with emotion and deep with candor. In this reviewer's opinion, if you are looking for the next Dead Can Dance album? Go look somewhere else. There is no "Ubiquitous Mr.Lovegrove" here. Eye of the Hunter has no tribal or ancient sub-cultural tones or drum beats. Now, this does not make it a bad album. It is still Brendan's beautiful voice. The only thing even slightly arguable about this album is how many tracks (which is only 8) you get in comparison to the average album.